This Blog is dedicated to all things to do with Building Information Modeling. I'll be blogging about challenges that I come across as BIM Manager as well as points of interest that are related to BIM. Blogs on tips and technical "How-too's" to help you out with creating your BIM models correctly. 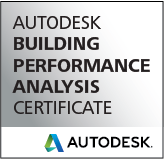 This Blog is not sponsored or endorsed by, or affiliated with, Autodesk, Inc.
1: Obtain Civil or Survey CAD file + Link it into Revit Project; this is typically the “Site” project, but can also be the “Main model” if you are not breaking out the Site in a separate file. 2: Move the CAD file into the proper location as it relates to the building; you can rotate, shift up down left right, etc., etc. – Important to note that you are looking to match a specific geodetic elevation associated within the CAD file to your main floor elevation in addition to the location of the building on the site. 3: Acquire the coordinates of the CAD file – now your Revit model coordinates will match the Real World Coordinates that are (mostly) always associated with the survey file. 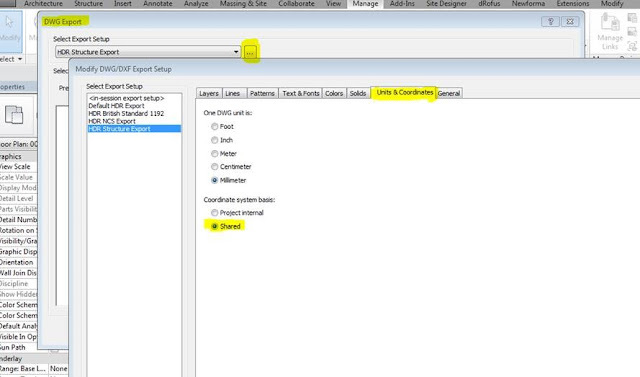 4: Next, provide your consultants with the Revit file that has acquired the CAD coordinates. Have them link it Center to Center, or something other than Shared coordinates. 5: Locate (move) the Linked model in the correct position, and then acquire its coordinates. Note: There are often steps that we take to clean-up the CAD file first (ie: locate specific topo lines on an easily identifiable layer so that you can associate the CAD file in elevation relative to Main floor levels, for example). The best test that we use after we have acquired the coordinates of the CAD file, is to export a CAD file from Revit (be sure to use Shared Coordinates in the export set-up) and then open the survey and xref the Revit export to 0,0,0. The files should align perfectly if everything has been done correctly. Thanks to Dan Sawyer for writing this out for me... I get a lot of questions on this process and Dan's my go-too guy. Mandating BIM, Yes, No... or Why? Scott Chatterton is the BIM and Quality Control Manager for HDR. Scott has over 25 years of industry experience and has a long history of using Autodesk products as an architectural technician, Autodesk-certified AEC instructor, CAD manager, and now as a BIM and Quality Control manager. Scott has experience as an authorized, certified Instructor of the Revit and AutoCAD product line, specializing in architectural design, and is currently a certified professional in both Revit and AutoCAD and building performance analysis. Scott’s extensive knowledge enables him to create and apply efficient design and construction practices using the latest BIM technology and techniques. As a result of his experience, Scott is a sought-after author and presenter at BIM-related conferences, addressing ideas on BIM workflow, processes and protocols. Scott is also on the board of directors for the Canada BIM Council, a member of the advisory board for various education institutions such as Thompson Rivers University, and a BIM adviser for Okanagan College, Southern Interior Construction Association, Athabasca University, and Vancouver College. The views expressed on this blog are mine alone and do not necessarily reflect the views of my employer or Autodesk.